(except the 1st and 3rd Friday of the month when City Hall is closed). Please call 925-625-7000 to schedule an appointment. The U.S. Department of State Office of Passport Services has designated Oakley Civic Center as an authorized passport acceptance office. 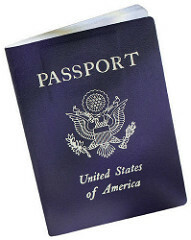 Our services feature application processing, same-day passport photo service at a low $15 fee. The City of Oakley Processes passport applications by Appointment Only! To make an appointment for passport services, please contact our receptionist at (925) 625-7000. Application forms can be obtained at the Civic Center or from the Internet at http://www.travel.state.gov. Please do not sign the application form until instructed to do so. Photograph must be 2×2 inches in size and taken within the past six (6) months. The image size from the bottom of the chin to the top of the head should be between 1 inch and 1 3/8 inches. The photograph must be in color. It must be a full face, front view, with a plain white or off-white background. Photograph should be taken in normal street attire, without a hat or headgear that obscures the hair or hairline. Uniforms should not be worn in photographs with the exception of religious attire that is worn daily. If a hearing device, wig, or similar articles are normally and consistently worn, they should be worn when the picture is taken. Glasses cannot be worn for photographs. Vending machine photos are not generally acceptable. If you need your passport in less than five (5) weeks and you are applying to a passport agency, or in less than six (6) weeks and are applying at an acceptance facility, you will need to pay an additional $60 expedite fee to ensure urgent handling. Postal Fee: Overnight postage charge is currently $25.50 to Passport Services and $16.48 per application from Passport Services.